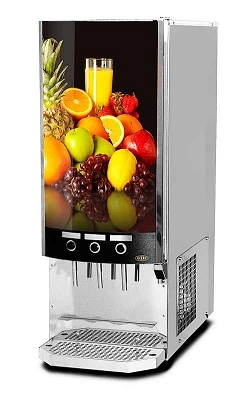 Born in Sweden, legacy of Varmland, Coffee Queen is our brand for manual and automatic filter coffee brewers, instant coffee machines and juice dispensers. 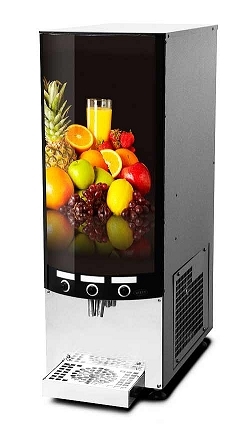 For a maximum of two flavours with or without fruitpulp and chilled water. Bag-in-box, max 2x10 litres, are placed inside the of machine. Adjustable mixture ratio. Drip tray with drainage. Illuminated front sign that easily can be replaced. 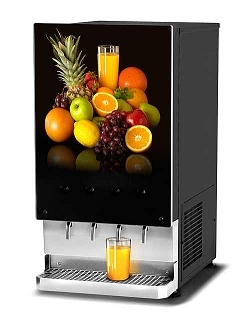 The nordic model allows you to serve three products and water.The dispenser is easy to clean as it has no pump and minimum of moving parts. Adjustable mixing ratio and drip tray with drain. Water cooler and bag-in-box rack as option. Drip tray with feet. No drain.